The master bathroom should serve as a sort of personal sanctuary, a place where you can gather your thoughts while taking a reprieve from the daily grind. That’s why the minimalist trend has become increasingly popular. Minimalist bathrooms only have the bare essentials to create an uncluttered setting that’s perfect for de-stressing. But a minimalist bathroom isn’t for everyone. Sure, it would be nice to have somewhere you can de-stress at the end of the week. But for people on busy schedules, this design may not be ideal. The bathroom of someone who’s always in a hurry usually has a countertop littered with personal care products and towels strewn everywhere. You need more storage options in your bathroom if you’re a busy person. But at the same time, you also need the calming vibe of minimalist bathrooms. 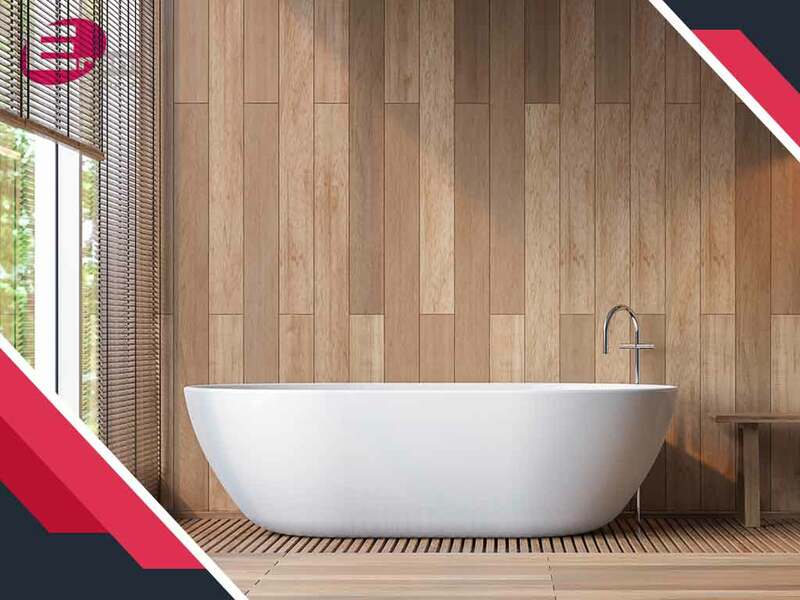 So here are a few suggestions to help you achieve the best of both worlds–a calming, minimalist space that also has plenty of storage and is easy to keep organized–through your master bathroom remodeling project. The resulting style will help you maximize the use of your bathroom while retaining the aesthetics of minimalism. The trick is finding furniture in a color and a material that complement the color scheme and overall feel of your bathroom. A protruding shelf in your shower area may be in the way, so think about carving out a crevice in your wall for your soaps and shampoos instead. There is no substitute for space. Storage maximizes the utility of your space, but it also eats up a portion of it. If your shower area is too small, it’s probably time to look for some bathroom shower designs and a contractor like Eren Design and Remodeling that can help you expand this space. Tiny details can make a big difference when it comes to the overall feel of your bathroom. The paint, tiles and the fixtures form the core of that feel, but it’s the faucets, doorknobs and sink that hold it all together. Replacing a few of these items can make a big difference. But tweaking a few parts to enhance the design theme might be harder than completely remodeling your bathroom altogether. To ensure the best results, it’s a good idea to let professionals like whole house remodeling firm Eren Design and Remodeling handle the delicate tweaking. Eren Design and Remodeling is the company you need to perfect the bathroom that fits your busy lifestyle. Call us today at (520) 885-2500 or fill out our contact form. We can help you in Oro Valley, AZ.